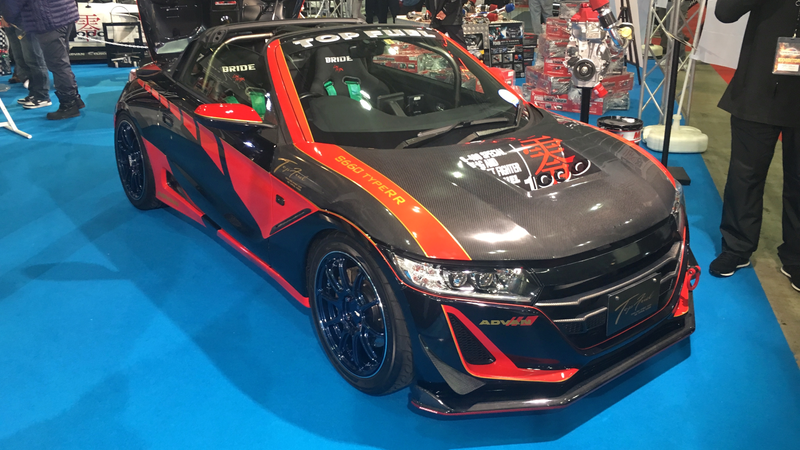 In 2016, it was disappointing to see the very few Honda vehicles at Tokyo Auto Salon. And, it has to be admitted, I still have a great deal of disappointment that so few ‘90s Hondas like Civics, CRXs, and Preludes showed up at 2017, too. However, a number of modified S660s, Honda’s tiny kei car roadster, were everywhere. As each year of production for the S660 sends more copies of the little roadster out into the world, we’ll see more and more of them modified at the auto shows, at the shops, and out on the road. Just, you know, not outside of Japan.